Rolls-Royce Motor Cars will celebrate a record Goodwood Revival this weekend, with all three days of the popular event selling out a month ahead of the event for the first time. The local manufacturer of super-luxury motor cars will host customers, prospects, VIPs and also entertain the thousands of visitors to the world’s most popular historic motor race meeting in true Rolls-Royce style. This year the Rolls-Royce showroom at the March Motor Works – an authentic recreation of a 1960s dealership – is the set for filming of ‘The Yellow Rolls-Royce’. 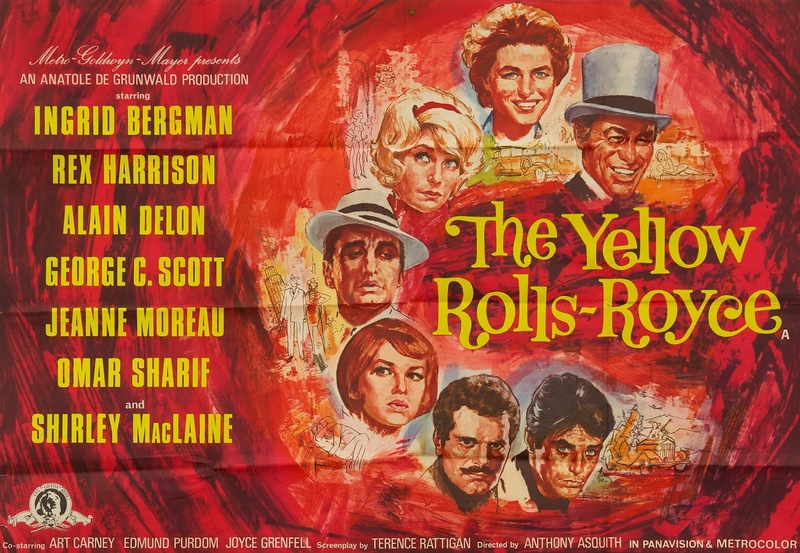 The MGM movie was released in 1964 and featured an all-star cast including Ingrid Bergman, Rex Harrison, Shirley MacLaine, Alain Delon, Jeanne Moreau, George C. Scott and Omar Sharif. The scene is based on the opening sequence of the film, set in 1931, where the character Lord Frinton (Rex Harrison) is buying a Rolls-Royce Phantom II Sedanca De Ville from a London Showroom. The treatment of the film set décor closely follows that of the film and the theatre, only possible at the Goodwood Revival, will consist of the cast filming on set and in preparation for filming. The ‘Yellow Rolls-Royce’ will, of course, take the lead role. Expect the ever-present paparazzi and a cordon of the Goodwood Runners (period police force) to be on hand to hold back adoring fans. Rolls-Royce will be represented on the Motor Circuit throughout the event, with a beautiful 1965 Rolls-Royce Silver Cloud III Continental in Velvet Green, with bodywork by James Young, forming part of the Course Director’s entourage. Very special guests of the Company will be conveyed in period luxury, with the silence of the ‘magic carpet ride’ only marginally disturbed by the ticking of the clock. 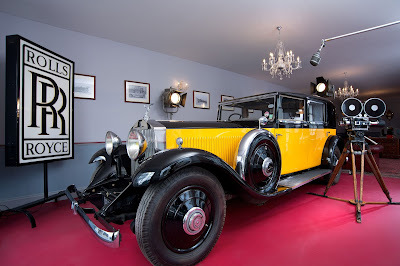 Departing the Revival, invited guests will return to the current day in contemporary luxury, as they are conveyed in exquisite Rolls-Royce Phantom and Ghost cars hand-built at the Home of Rolls-Royce, located within the Goodwood Estate, a short distance from the Motor Circuit. According to The Sunday Telegraph, "anyone willing to be taken for a smooth ride could hardly find a more sumptuous vehicle, star-studded, gold-plated, shock-proof and probably critic-proof, too."